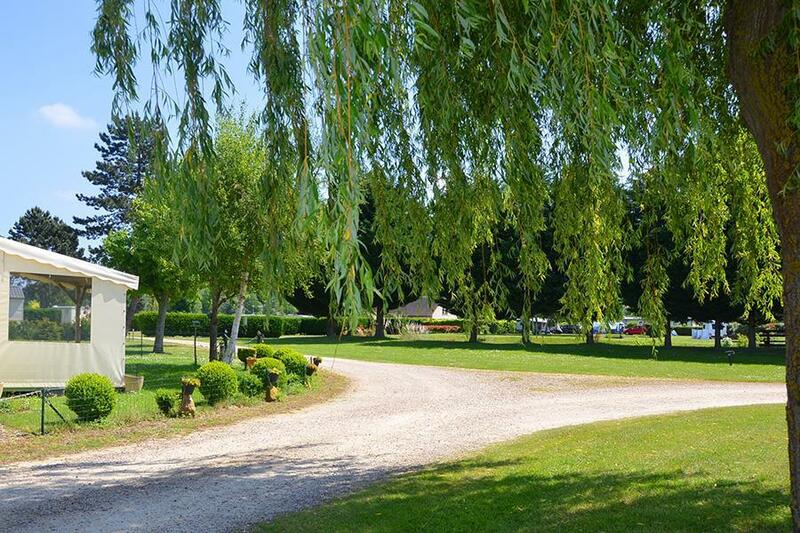 At Campsite La Halte de Mainville in Ressons-le-Long (Aisne) camping costs as little as €18,- per night during low season with CampingCard ACSI. At one of the 74 touring pitches you will get a discounted rate during the period 01-01-2019 - 30-06-2019 and 01-09-2019 - 31-12-2019. At this campsite you can not only use your CampingCard ACSI for inexpensive camping, you can also use your ACSI Club ID (as an alternative ID). Level grounds with marked-out, partly shaded pitches. Good facilities. A peaceful family campsite with a swimming pool and tennis court. Close to the completely restored Pierrefonds chateau. Free carp fishing. Disneyland about one hour away, Parc Astérix half an hour's drive. We visited in September when it was very quiet. The owners were very friendly and helpful. They don\'t accept credit card payment but give you lots of time to draw out cash. The toilet facilities were spotlessly clean and the pool was too. There are lots of holiday homes on the site which are well-maintained with pleasant gardens. There is a supermarket within 5 minutes drive. Super little site quite and peaceful, what a great find would recommend, lovely walk to supermarket or on bike approx 9 km round trip. You need to seek this site out and enjoy. Sehr schön gelegener Platz. Sehr große Stellplätze. Sehr gepflegte, weiträumige Anlagen. Freundliche Leitung. Großes Einkaufszentrum in der Nähe. Visited early October , staff friendly and helpful, toilet/showers cleaned daily. Would definitely return. We have just visited this site in June 2015 and it is highly recommended. A very friendly clean site and also very peaceful. The surrounding area is well worth a visit. Site in the countryside, quiet day and night. Site is beautifully kept with fishing lake and ducks. Good stopover site. Good size pitches, flat some with shade. A friendly site, mainly statics but cater well for tourers. Very dog friendly with safe walks nearby. Grass kept short and cuttings removed. Expect visits by ducks and geese! Would you like to book Campsite La Halte de Mainville or request more information? You can do both using the information below. On the N31 Compiègne-Soissons about 15 km from Soissons follow the D17 southwards to Ressons-le-Long. Follow campsite signs. CampingCard ACSI will send your information request to "Campsite La Halte de Mainville".